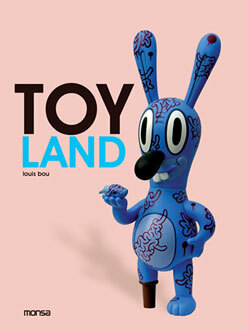 February « 2009 « Paul Shih – Toy Designer, Illustrator & Artist. i’ve customized GROOPH’s capkid awhile back, now my capkid along with other amazing toys are on this new book called 「TOY LAND」published by monsa. Creators of designer toys come from the world of graphic design, illustration or street art, and they use all kind of materials to create these collecting articles. Although the most common raw materials are vinyl and plastic, we can also find pieces made of metal, wood, resin, fabrics, and plush. In the pages of Toyland we will see more than half a million examples of limited editon designer toys, unique custom works of art, moulded, sculpted, sown and hand painted by the best artists of international level. Posted in PRESS, TOY | Comments Off on Toy Land!